The other day it was pouring rain outside and the wee ones were going stir crazy cooped up inside the house so we had to get a little creative. 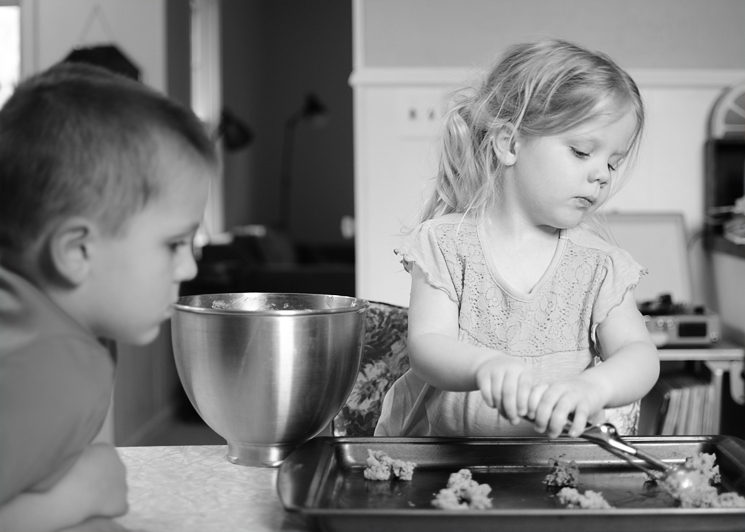 While racking my brain for entertainment that didn't involve television or an electronic screen, I realized that the kids and I had never baked cookies all together. Sure, we'd baked cookies one-on-one together before, but never as a team. Before we knew it, we were up to our elbows in flour and chocolate chips. 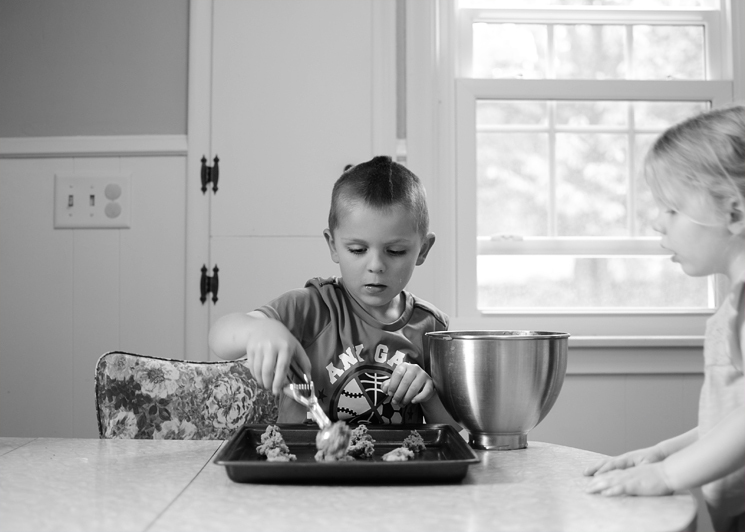 My little helpers took over putting the cookies on the cookie sheet for me and even though it was painfully difficult to wait for their turn with the dough scoop, they had a great time! Nathaniel put himself in charge of making sure the rows of dough were nice and straight (so fitting for that little type-A personality) and Evelyn became a little expert on making just the right size scoops for our treats! After working good and hard baking, the cookies just begged to be sampled and they turned out delicious, thanks to my little helpers. Apparently there will be more cookies in our near future.